Lately, I have been on a serious veggie meatball kick. 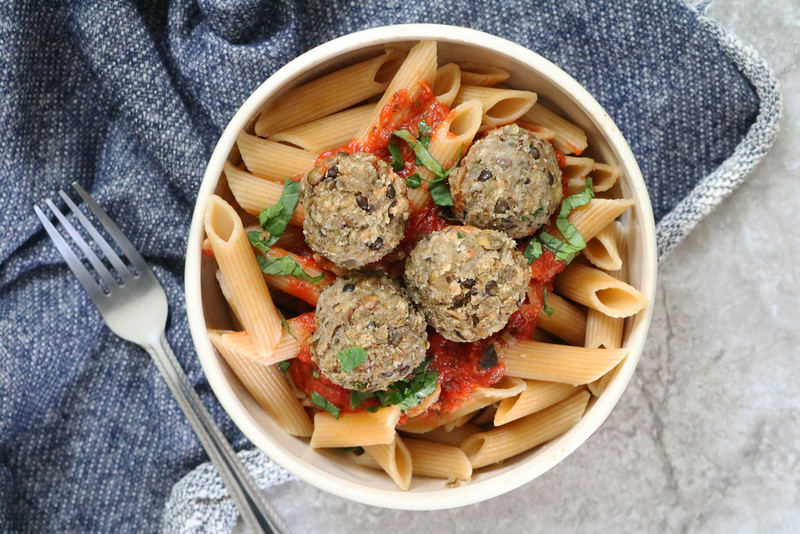 To start, over at eHow, I made quinoa, mushroom and white kidney bean vegan meatballs. 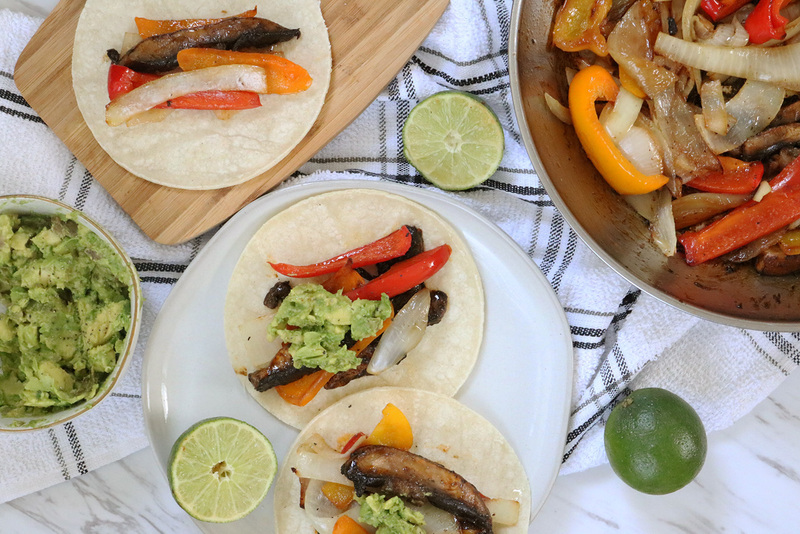 (Hello, plant protein!) For Nature’s Earthly Choice, I whipped up a batch of lentil and eggplant meatballs. (These were a hit with my friends.) The delicious fun doesn’t stop there, though. 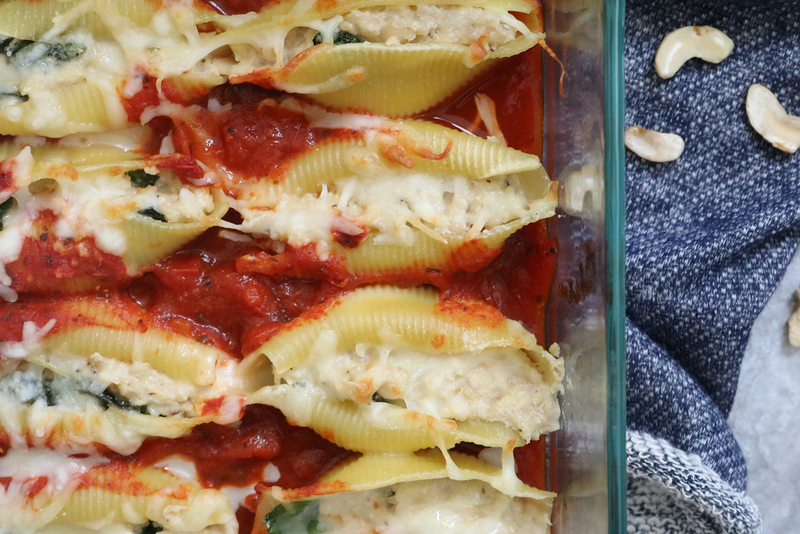 I knew I had to try a cauliflower version, because let’s be real… cauliflower is having a moment right now and I am so here for it. 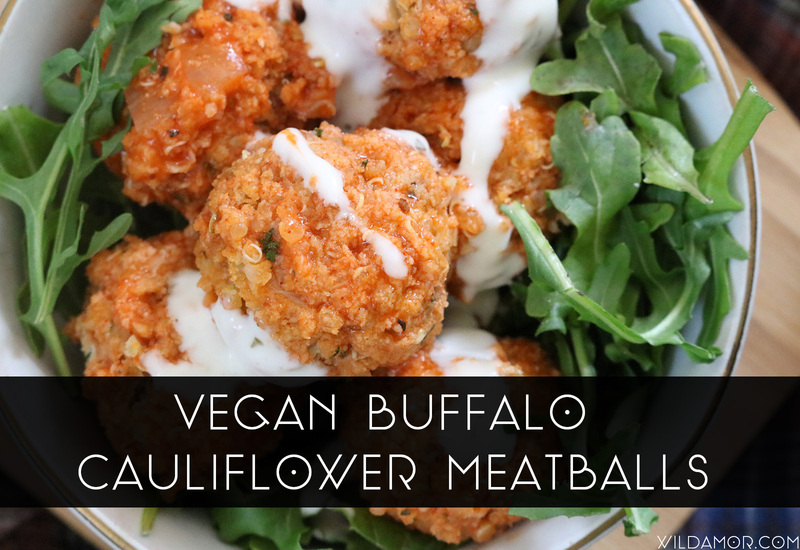 Enter these vegan Buffalo cauliflower meatballs. 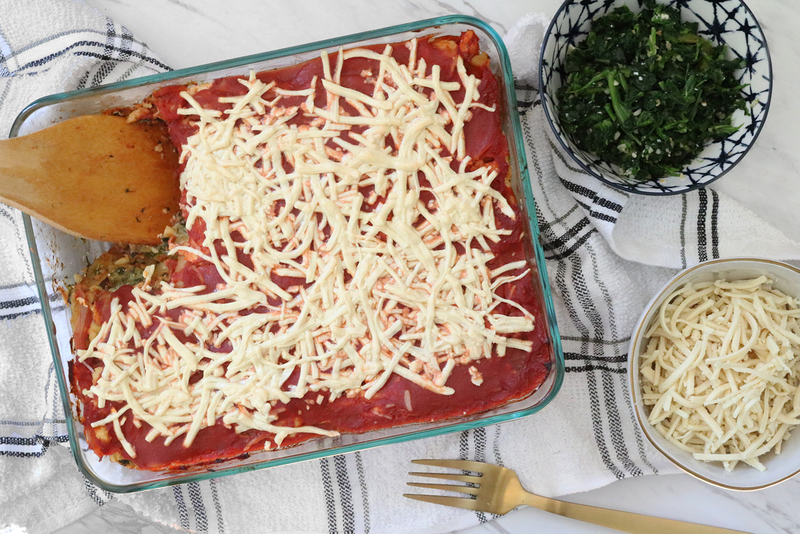 Made with simple, wholesome ingredients, this recipe has been on heavy rotation in my kitchen. (Oh, and they are baked, too! Win.) Here’s how to make them for yourself. 1. Pre-heat the oven to 400 degrees Fahrenheit. Meanwhile, cook the quinoa according to the package’s instructions. 2. Roughly chop the cauliflower. Run the cauliflower through a high-speed blender or food processor until totally pulverized. 3. In a large bowl, combine the cooked quinoa, processed cauliflower, breadcrumbs, garlic, and spices. Mix well. 4. With clean hands, form the mixture into 1 & 1/2-inch balls. Place on a greased baking sheet and cook 25 to 30 minutes, or until slightly crispy and firm. 5. Toss with 1/4 to 1/2 cup Buffalo sauce, depending on your preference. You can also drizzle it on or dip the meatballs into Buffalo sauce. Note: If you’re in a pinch, another option is to mix the Buffalo sauce with the other ingredients in Step 3. 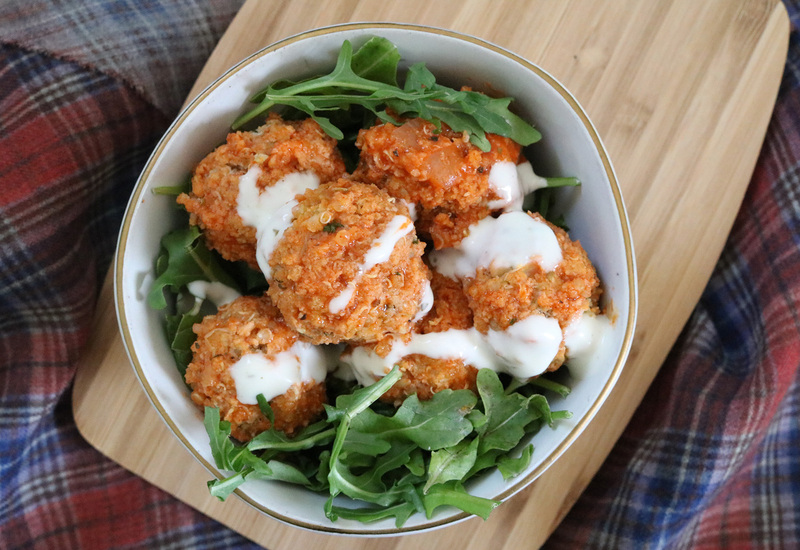 I love eating these Buffalo cauliflower meatballs in pitas or salads with homemade dressing, but you can also pair them with pasta, rice, or quinoa. And if you are throwing a party? Stick a toothpick in each one for a delicious appetizer dish. Done and done.